"Ransomware is a reposing issue," says Eric Skinner, the VP for Market Strategy for Trend Micro. Skinner presented at this year's CLOUDSEC forum, held in Sydney on 1 September 2016. As ransomware relies on well crafted emails, Skinner says attacks tend to be highly localised. This means the associated emails use local companies and languages in order to dupe users. 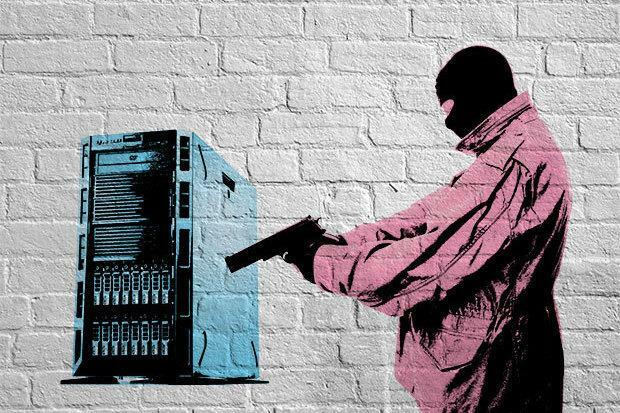 Unlike many attacks, ransomware is a "smash and grab" attack, rather than a "low and slow" attack. Interestingly, Skinner showed a ransomware attack that impacted a smart TV indicating that a shift from traditional computers to other devices is starting. Skinner says there have been over a million ransomware threat detections this year, just in Australia. There are two types of ransomware, says Skinner. One totally locks your computer while the other targets your data files. TorrentLocker, which has been prolific in Australia looked like an email from a local electricity retailer. The email purported to give online access to an electricity bill but the associated ZIP file installed a malicious payload. TorrentLocker was typically delivered early in the business day, according to data Trend Micro collected, as this increased the likelihood of emails being opened. Ransomware can enter via email, a malicious website, USB drives or through a network. Email is the most common vector. Once the ransomware executes, the user's data is encrypted, and a demand for payment is presented. Users can either pay the ransom or restore their data from a backup. However, two ransomware families threaten to publish your personal data online. Others target network shares that look like backups. The impacts are broad with everything from business interruption to reputational or other damage. Skinner says traditional security software is ineffective. "If you're using older or misconfigured anti-virus - it's not going to be effective". Backups need to be air-gapped from other systems so they can't be targeted. Systems need to be regularly patched and access control needs to be set at a level which will prevent an infection from travelling through the network. User education, as always, is important but there needs to be appropriate protection on email and web gateways, end-points and on the network. At the email gateway, including cloud services such as Office 365, there needs to be spear phishing detection, malware scanning, web reputation and sandboxing. "While the payload might change regularly, the command and control infrastructure red changes less," says Skinner. This means detecting the addresses ransomware and other malware connect to is a critical element of defence. Over recent years, end-point protection has been seen as less important but there has been a shift says Skinner. Ransomware behaviour monitoring, vulnerability shielding, application control and lateral movement detection are all critical. With patching remaining a challenge, Skinner says vulnerability shielding, or "virtual patching" is critical for protecting systems from known vulnerabilities that have not yet been patched. When a piece of software tried to access a known, but unmatched, vulnerability it is stopped and an alert is sent. Network monitoring and sandbox analysis are important for detecting anomalous behaviour. Servers need similar protection to user end-points but command-and-control traffic detection and suspicious action monitoring, such as file integrity monitoring and warnings, are also important for ensuring untoward actions are detected and their impacts are mitigated.